You can give your users the ability to find the contact details of other members from within the Member Area. You can enable and access these settings by going to Settings and clicking on Access Permissions when the page loads. 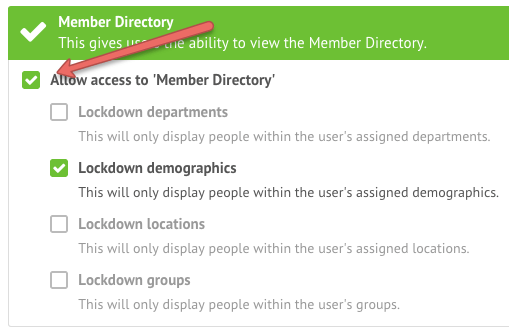 From there, simply edit the Access Permission you would like to grant access to the Member Directory and then click the ‘Member Directory’ option on the left. 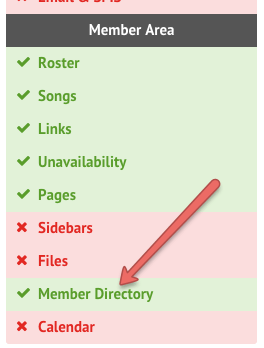 Check the box to Allow access to the ‘Member Directory’. You can also include other lockdown settings to limit certain access permissions to viewing departments, demographics, locations or groups.